VIMTO is a widely used product in Saudi Arabia during Ramadan. With a mutual aim to spread joy, our creative team and the Munch product development team struck upon the idea to traditionalize cupcakes. As VIMTO is a widely used product in Saudi Arabia during Ramadan, we decided to develop Vimto-flavored cupcakes specifically for the Ramadan period. We worked on a social media campaign to promote them, starting with branding and content creation across social media channels. 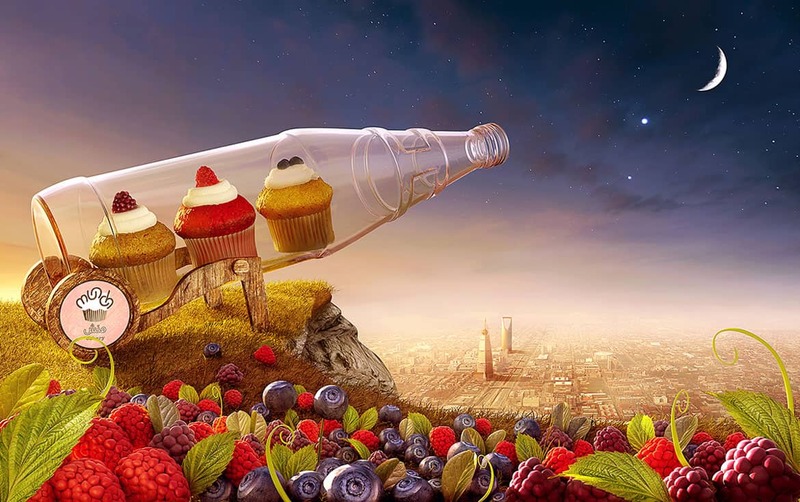 The creative work involved an innovative cannon loaded with Vimto Cupcakes, surrounded with berries, overlooking Riyadh during sunset. We also designed all in-shop materials, including danglers, packaging, and rollups. Vimto Cupcakes became wildly popular, and we received countless consumer requests to introduce Vimto as a permanent flavor!